Valentine's Day week is one of my favorite weeks. 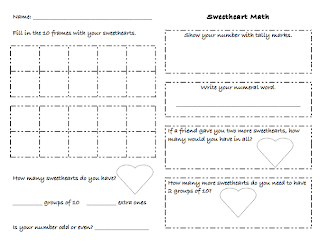 This is a Sweetheart Math activity I love doing with my class on Valentine's Day. Come on over and grab a copy free!